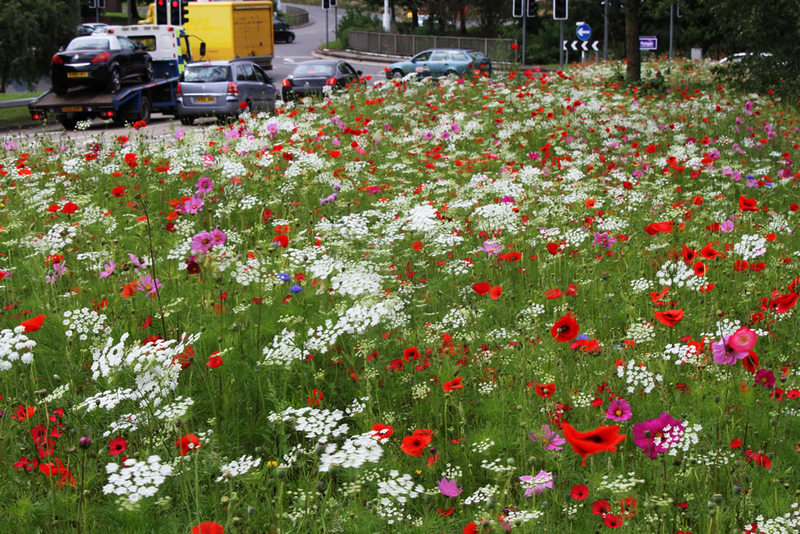 For the third year in a row the Rotherham ‘River of Flowers’ caused a stir. 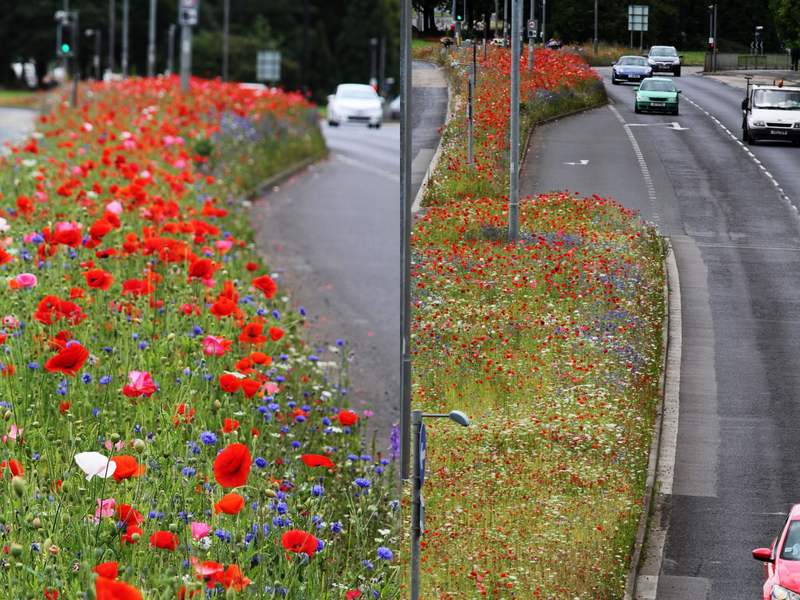 The annual mixes were sown along 8 miles of verges and roundabouts throughout Rotherham. Rotherham Council have received a Green Apple award for Environmental Best Practice as well as over 250 compliments for the scheme. 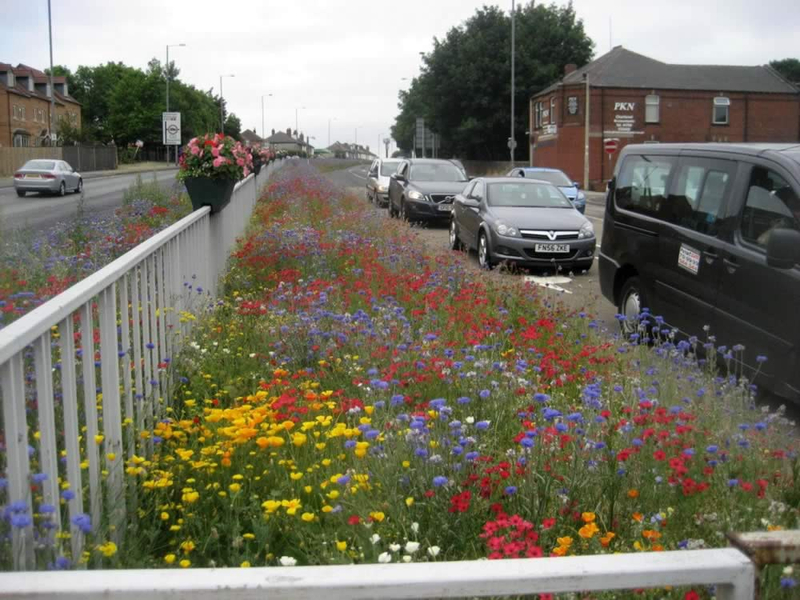 Cllr Gerald Smith, Cabinet Member for Regeneration and Development in Rotherham, commented ‘It looked really fantastic last year with hundreds of compliments received from local residents and visitors as far afield as Scotland, Cornwall and even Australia’. 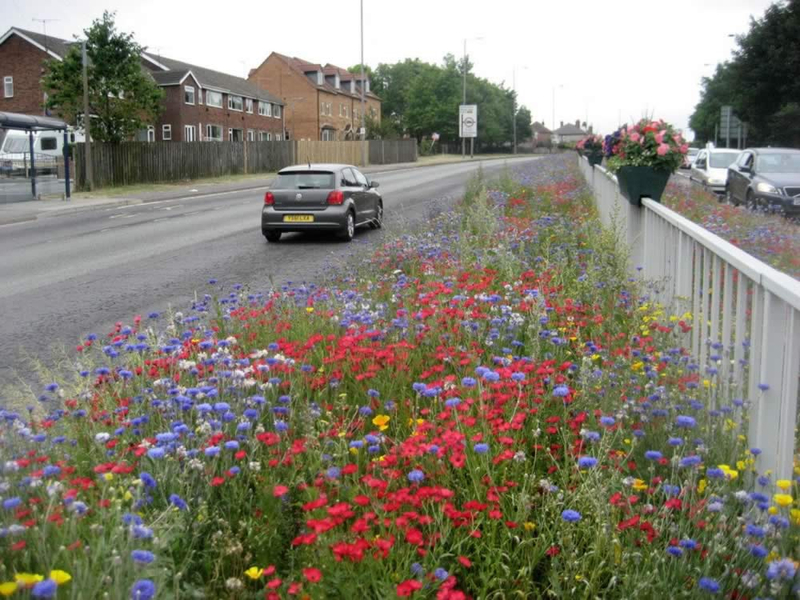 Rotherham Council chose Pictorial Meadows mixes since they include both native and selected non-native flower wildflowers which provide an extended period of nectar, flowers and seeds that are food sources for many pollinating insects, birds and even some mammals. They also experienced significant cost savings (£25k) on their on-going management expenses.